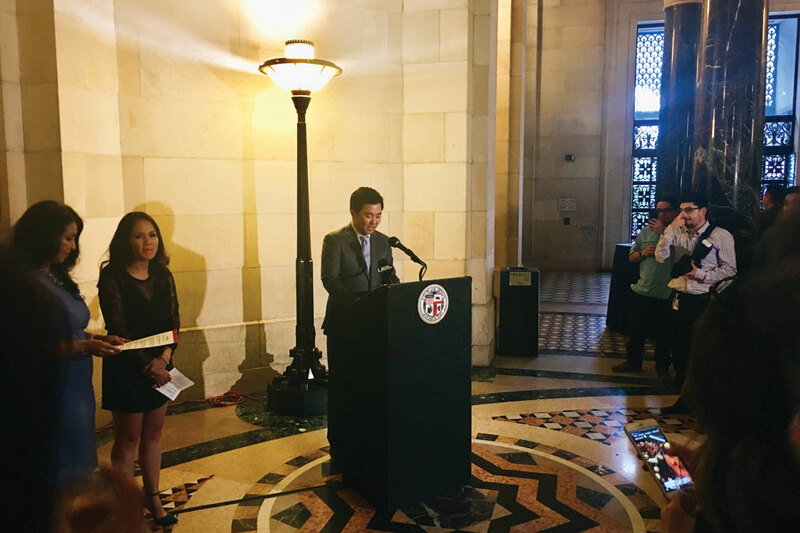 Los Angeles City Councilmember David E. Ryu, 4th District, honors AAPI leaders in Los Angeles City Hall. 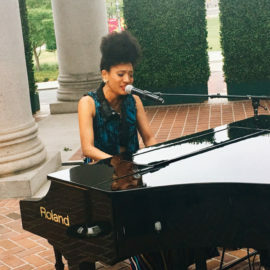 American singer Judith Hill who is of Japanese and African descent, surprising guests with her performance. 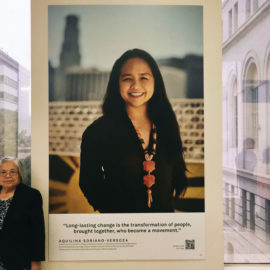 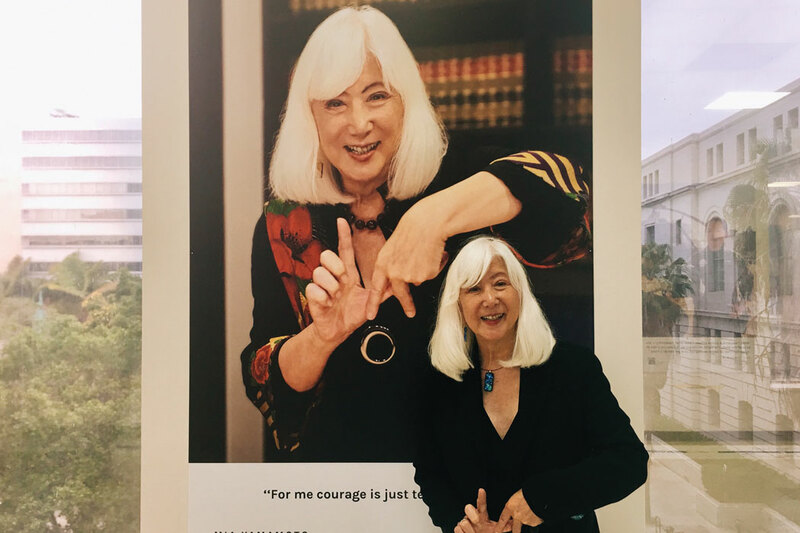 Leading in population of Asian American and Pacific Islanders (AAPI), the City of Los Angeles on Tuesday, May 29, ended this year’s Asian Pacific American Heritage Month (APAHM) by honoring some of the city’s AAPI female activists and advocates with a gallery reception at City Hall. 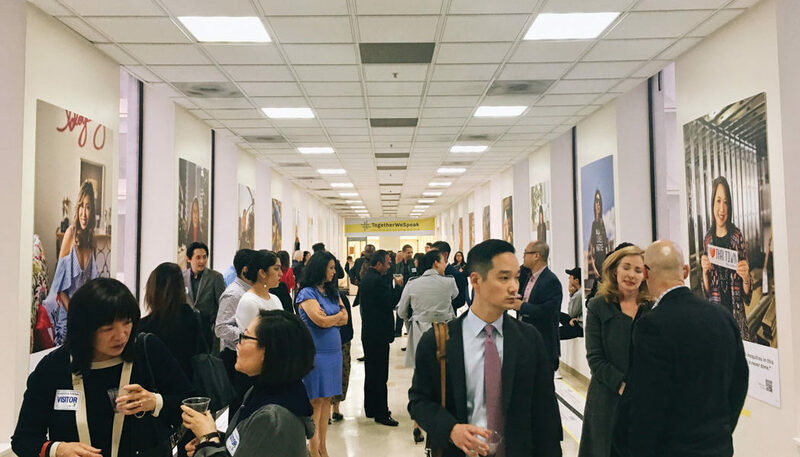 “I can’t think of a better way to end this month of celebration for remembering our past and working for a stronger future, than honoring these amazing Asian American women tonight,” said Councilmember David Ryu, who was one of the gallery’s sponsors along with the City of Los Angeles, Pacific Bridge Arts Foundation, and Kore Asian Media. 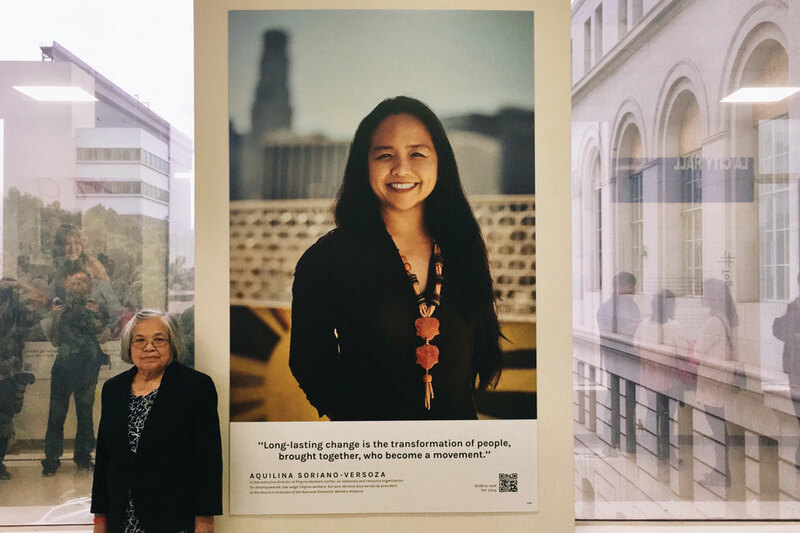 Featured on the walls were photographs of 14 Asian-American women along with captions of their stories — all brought together under the social media hashtag theme, #TogetherWeSpeak. 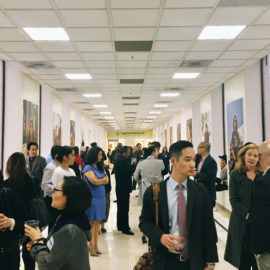 Among the featured women were actress and filmmaker Anna Akana, Aquilina Soriano-Versoza of the Pilipino Workers Center, Chancee Martorell of the Thai Community Development Center, Cassey Ho of Blogilates, writer and stand up comedian Jenny Yang, transgender criminal defense attorney Mia Yamamoto, and LAPD supervisor pilot Janet Kim. 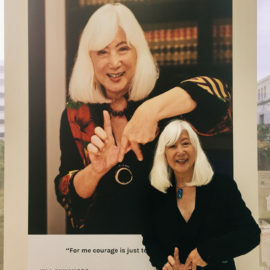 The honorees were captured by conceptual photographer Melly Lee, who received her B.A from the University of California, Irvine, and whose client list includes Google, Warner Bros., LEGO, and HarperCollins. 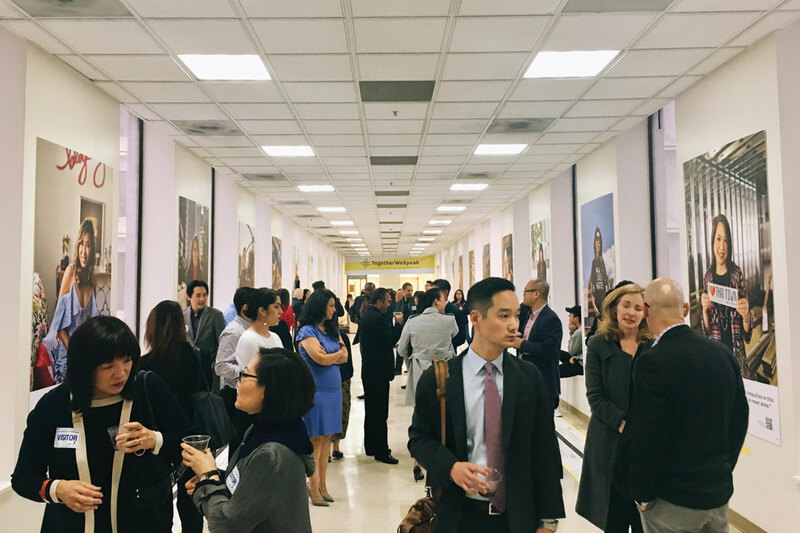 “For the past month, they have literally and figuratively been the bridge between cultures and perceptions and our future. 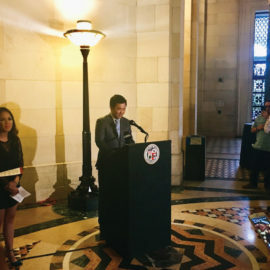 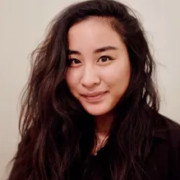 Not just for the Asian American community, but as a city of activists, dreamers, and doers,” said Ryu of the honorees and their photos which were displayed along the bridge connecting Los Angeles City Hall and City Hall East. 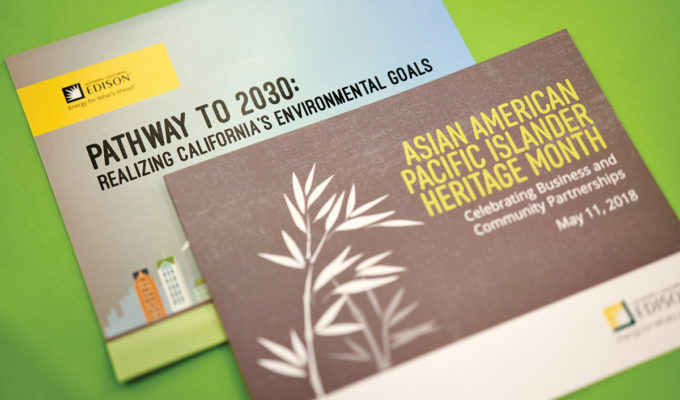 Adding to the celebration of the Asian American women, Ryu gave a personal shout out to his Asian American mother and grandmother. 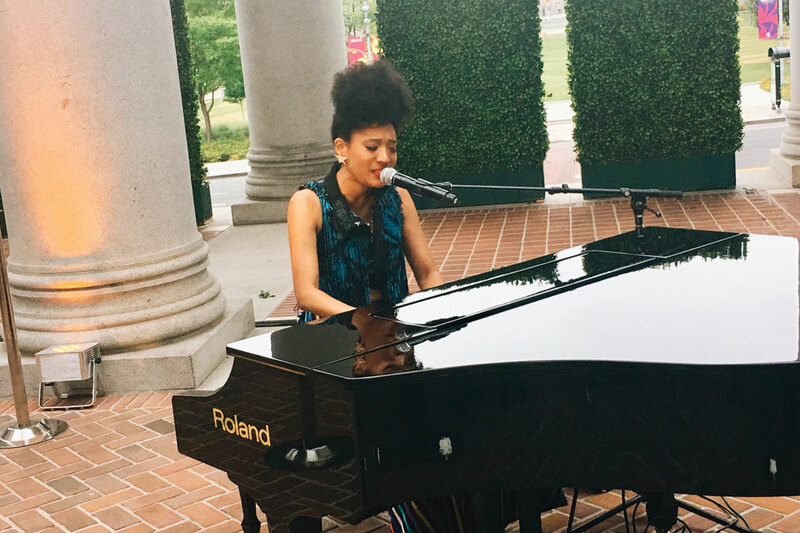 But she also noted that much more representation could be done across all public sectors. 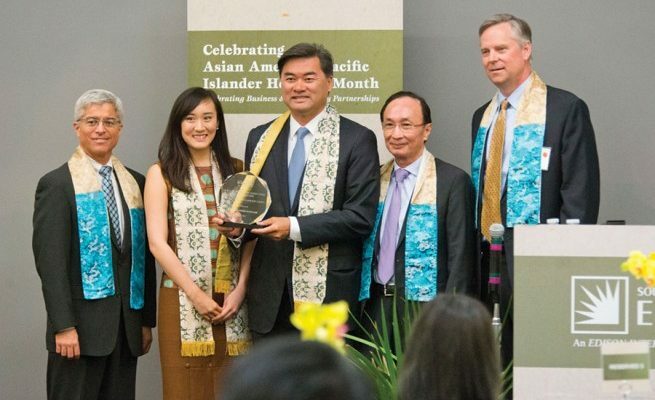 “We have much to celebrate, but yet we still have much to do,” said Lam.